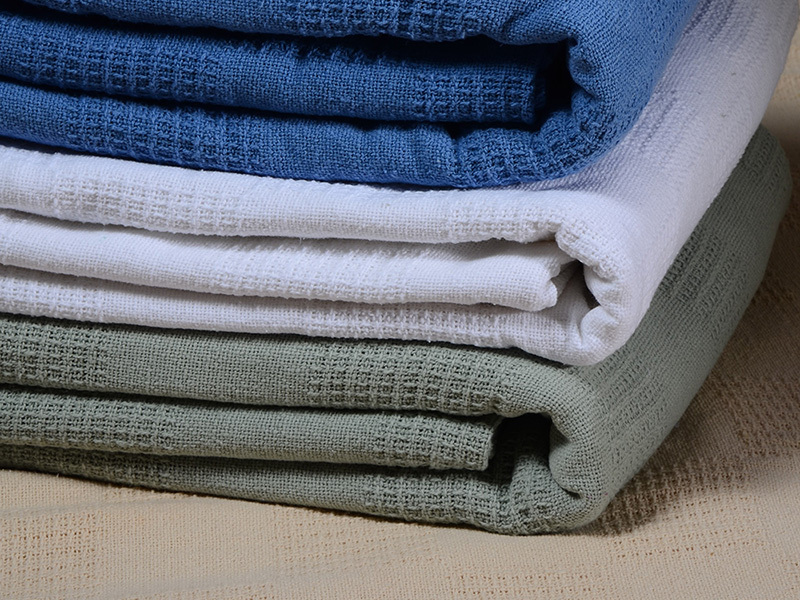 100% cotton loom woven snag-less thermal blanket. Block Pattern. Hemmed with double-needle stitching. Vat-dyed and preshrunk.